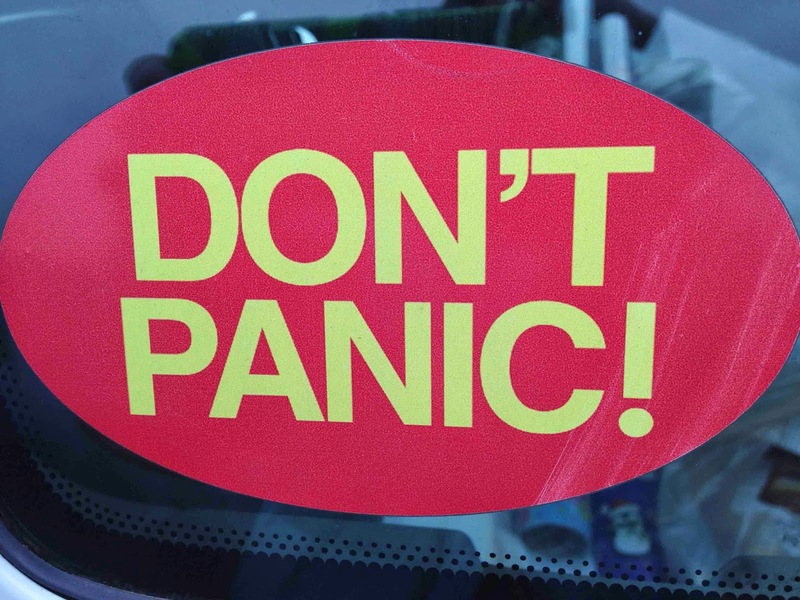 Since there seems to be some serious competitions and analysis happening on this blog, I thought I'd put in my two cents so as to gain some broader and serious Geri-Pal thinking about how bumper stickers apply to client care. So, I will not lie to you. I read and analyze bumper stickers as a clinical hobby, of sorts. I live in a place that values and cherishes their viewpoints through a bumper sticker phenomenon. Some vehicles are plastered with them. I kind of like that people are into it! I travel a lot so this bumper sticker viewing amuses and inspires me on what could be a solemn day. Bumper stickers remind me to think carefully. I believe it's truly valuable to watch, listen and think carefully about big and small matters alike. It promotes that life-long-learner concept as well as helps me remember to have a good sense of humor. Bumper stickers are put on cars and other items to share and discuss so it makes sense this gaming experience has to be interactive. I will tell you what I’m thinking and I hope to read what you are thinking …after all, folks in palliative care have very interesting viewpoints. One Golden Rule: no outright profanity please or beating up someone in the comment section about his or her response. This is game …play nice. I start with a bumper sticker that I have seen. I think. I analyze. I place down the thought. Now you think. You tell yourself this is insane.......or a bunch of BS. You add your own personal interpretation in the comment section of your head or in the comment section of this blog. Go ahead, please jam up the comment section with your bumper sticker analysis and wisdom. Go wild! If you want, add your own new "bumper sticker saying" you saw to the mix. Why take time out of our busy days to play this game? For the pure fun of it! So we can balance life...because lots of times, we hear and talk about some really serious stuff, don't we? And like knowledgeable elders, we need to learn the importance of “just being” and sharing a little bs [baloney sandwich, of course]. ….so let’s start this game rolling! 1. Bumper sticker: Don't worry, be happy. My Analysis: Did I take the time to ask what a client is worried about so they can feel relieved, resolved or possibly happier? Wow! The unexpected answers one receives when you do ask this question! Sometimes I find out how there are many worries. I also find out I can help reduce some of these worries by asking the care team’s advice, providing simple tweaks to our care, or adding a meaningful addition to the care team for problem resolution. I need to remind myself to ask, not assume, I know the answer to that client’s question. 2. Bumper sticker: What if we are all wrong? My Analysis: Geez! Ouch. Can I painfully and objectively acknowledge that information collected can be limited and lacking at times? Can I support the client and care partners to collectively direct best care once we are all at the decision-making table? Can I be open to re-thinking solutions? 3. Bumper sticker: So, how are the children? My Analysis: Really, how is the whole “family" doing? Have I asked the care partner(s) what else is on their plate(s) that competes with care? What causes them the most stress and how could I help support them to reduce that stress? What kind of family life are they managing? How broad is the “care support” for them? 4. Bumper sticker: What if doing the Hokey Pokey is really what it's all about? My Tip: Get up and dance! It's just another way to figuring it all out. My Analysis: If this really is what it's all about, do I provide more listening, honoring and advocating for the goals shared by the client and care team? Two extra points! Add your bumper sticker addition and analysis in the comment section. I LOVE THIS POST!!!!! It makes my day, my week, my month, my year. I love people with both a mind and a heart! Carry on!